You’ve got top quality gear. You’ve got it broken in well. You wouldn’t throw it out for a small tear or because it’s lost a little of its shine. 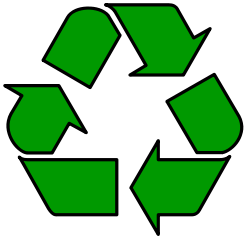 There’s a reason that “recycle” comes last in the old saying about conservation. If a garment or piece of equipment is worn but still has life in it, don’t be quick to discard it. Can it be repaired or reused instead? If your articles had antimicrobial treatment when you bought them, Gladiodor® or Armour Block® for example, use Bac-Shield to refresh that treatment. If they’ve got a sour or musty odor, use Bac-Shield to freshen them up. If you have an article you no longer use, don’t let it gather dust in a box or in your closet, refresh it with Bac-Shield and put it back in circulation. Donate unused items to a charity or sell them on-line. Bac-Shield can be applied to cotton, linen, silk and wool as well as to synthetics. As you would with any fine item, test a little on an inconspicuous spot first to determine the effect on a particular article.